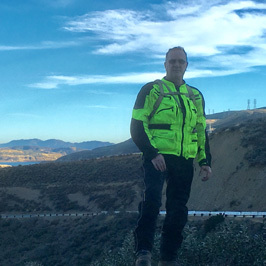 Located high in the Rocky Mountains on the Continental Divide Trail, in the heart of the best Adventure Riding in America is the newest addition to our training portfolio - RawHyde Colorado. Our original purchase of 40 acres in 2012 – allowed us to create the first “purpose built” training center in the US that was solely dedicated to the Adventure Rider. Late last year (2017) we completed the purchase another 40 acres which now allows us to do all our training on land that we own. We have big plans for Colorado because it truly is an Adventure Riders’ paradise. From the Continental Divide to the incredible network of back country roads and trails Colorado has it all! Our facility is situated among the aspen forests and pines at 9500 feet elevation where the summer time temperature never goes above 85 degrees and the relative humidity is less than 50%. We are located in the exact center of the state, between Breckenridge and Salida. Simply stated – Central Colorado is the "best of the best" from an adventure rider's point of view. Within an hour of our facility are most of Colorado's high alpine mountain passes, the highest road in America, the highest mountain that can be ridden to (Pikes Peak) as well as the Trans America Trail, The Continental Divide trail and the Colorado Back Country discovery trail. Everything you could ever want as an adventure rider is here – come discover it for yourself. 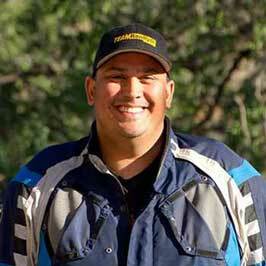 As the name indicates this program is geared toward riders that are new to the world of dirt roads. 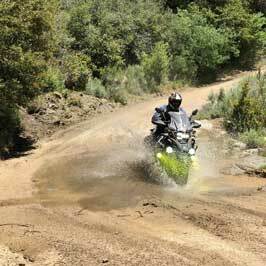 This class will introduce you to the basic principles of off road riding and will help you understand much more about the capabilities of your Adventure Bike. When you’re done you’ll have the confidence to explore well beyond the point where the pavement ends. 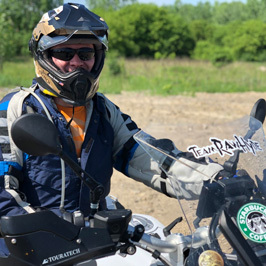 This program is aimed at riders who have either taken our introductory class or have solid fundamental off road skills and are looking to “take it to the next level”. This class will focus on advanced skills and technical terrain management! 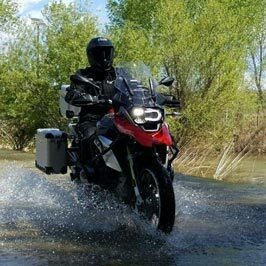 Successful completion of this class will give the rider a massive boost in confidence as well as the skills to travel anywhere in the world, from the Sahara Desert to the jungles of Brazil. “The High Rockies Adventure” is the perfect follow up to training, allowing you to implement your new skills in a real world setting. This two day program runs immediately after every training class in Colorado. 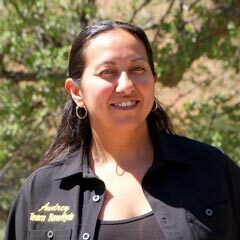 We’ve often heard from our clients that they wished we offered mechanical services or more opportunities to learn about other aspects of adventure riding. We listened, and we’re pleased to announce that for 2018 we have created a series of extra “opportunities” for you to become more familiar with some of the other important aspects of our sport or have a tire changed, bar risers or a skid plate installed or perhaps a minor repair of some sort. Learn more about our early arrival and extra services and extra learning opportunities. RawHyde Off Road... Simply the best experience thus far on my bike. Why? Here are a few reasons. Read more. RawHyde Off Road... Simply the best experience thus far on my bike. Why? Here are a few reasons. You can use your own bike EVEN if it’s not a BMW. This was huge for me since I ride a Triumph Explorer XC and wanted to use it for training. All inclusive. Once there my lodging and food (I’ll talk about the food later) were included in the price. Customer Service. From the start they make you feel welcome. Once there the level of service is legendary. Training. They really shine here. The approach taken is to tell you to do “this” or “that” with your bike. This keeps you focused on the task and not thinking about doing it wrong. Food. No trip to RawHyde would be complete without commenting on the food. This is not your typical “The was hot and there was plenty of it” kind of place. While this statement is true, one word description is “awesome”. Breakfast was a buffet style affair. Lunch was a box lunch that would put most dinners to shame. Dinner was a 3 course meal complete with wine served to us by the RawHyde staff. These are a few of the reasons I recommend RawHyde. I would also recommend a trip like the High Rockies Adventure after training to practice your new skills. I have attended several training classes and events at RawHyde. It reminds me of camp when I was younger. Show up Friday, put away my car keys and my wallet, and enjoy the weekend. Everything is there already arranged for you... Read more. I have attended several training classes and events at RawHyde. It reminds me of camp when I was younger. Show up Friday, put away my car keys and my wallet, and enjoy the weekend. Everything is there already arranged for you including bike, food, lodging and the great Dakar Bar! The opportunity to hang out with a bunch of riders around the campfire in the evening, discussing the ride experience from the day, is a great ending before heading to bed. I just wanted to take a minute to let you know last weeks Base Camp Alpha experience was just incredible. First of all the modification due to weather was brilliant, the ground we covered was beautiful and challenging but not overly intimidating. Read more. I just wanted to take a minute to let you know last weeks Base Camp Alpha experience was just incredible. First of all the modification due to weather was brilliant, the ground we covered was beautiful and challenging but not overly intimidating. Arrival Sunday night I felt like I was being greeted by old friends or like I was coming home. Thats the overview, totally satisfied. Now a couple details, your staff, all of them so far are nothing short of amazing, they really don’t make me feel like some client with a bunch of money there to pay to have a good time. Your staff makes me feel like I’m part of something bigger and I really enjoy the whole experience. I have now had the opportunity to work with six of your coaches, they are all a little different as they are all individuals but they are also 100% first class highly capable instructors, being a good rider is difficult but teaching it is a whole other level of difficulty. I’m very impressed. 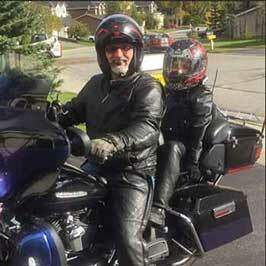 I had the the opportunity to ride Tuesday with Jeff And Barty, it had to be one of the greatest rides of my life. I felt really challenged but I never felt intimidated or in any serious danger, just right at my limit but not to the point I felt I was going to get in trouble. I really like those guys and we became friends which is special to me because I’m sort of a lone wolf and making friends doesn’t come easily to me. 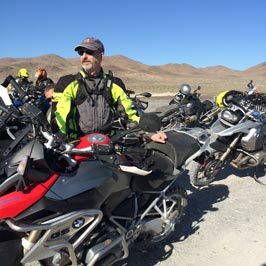 I also made a couple new friends with other clients and I am probably going to ride to the Grand Canyon in September with one of them who will be picking up a bike from you, (Rob). Thanks for all you do !! I just want you to know the incredible positive impact that you, your company, and your team has had on my life, Maya's life, and potentially our family as I've now encouraged our son to start riding. We intend to come back as soon as possible as a family... Read more. I just want you to know the incredible positive impact that you, your company, and your team has had on my life, Maya's life, and potentially our family as I've now encouraged our son to start riding. We intend to come back as soon as possible as a family to attend training together. You have an outstanding organization. Your leadership, ability to assemble an outstanding team, create a fun, challenging, positive, and rewarding environment, and offer an exceptional customer experience is incredible. You inspire people to live life to its fullest. Anyone that asks about my bike or talks about getting an adventure bike, I say two things... Get a BMW and go to Rawhyde, both of which are worth every penny! I then go on and on about the feeling of satisfaction being able to ride obstacles I would have never thought possible. Read more. Anyone that asks about my bike or talks about getting an adventure bike, I say two things... Get a BMW and go to Rawhyde, both of which are worth every penny! I then go on and on about the feeling of satisfaction being able to ride obstacles I would have never thought possible. And I have to rave about the fantastic food, fun atmosphere as someone who lives on the Central Coast of California, I have to let them know that Rawhyde even has an appreciation for good wine! Who could ask for more? BMW motorcycles and Rawhyde go hand in hand! They have both enriched my life immensely. It was a great event. So many talented riders from all over the US came to RawHyde Adventures for the 2015 GS Trophy Challenge West Coast Qualifiers. I was lucky enough to work with this amazing team. Thank you all for the awesome Intro Course last weekend. Great bunch of instructors and staff. I'll be back! I also want to thank you for making me think hard about upgrading to a 1200! Here at RawHyde Adventures we believe in actually having a conversation with people that are interested in our programs so please call us if you have the time. If you reach our voicemail; please leave a message and we WILL return your call promptly. Please Note: Occasionally we have programs that require the service of our entire staff and take us far beyond cell range, and thus it may be a day or two before we can return your call, but rest assured we will do so as soon as possible. Even though we'd really rather talk to you in person.. email is sometimes necessary so - email if you must but call us if you can, we'll be delighted to answer your questions. If you do not receive a response to your email within 2 business days; please call. If we are out of the office (as stated above) we will contact you as soon as possible.